Lots of great new iOS games are being released every week, especially on days like today (Thursdays). And if we look forward to the next couple of months, there are several particularly enticing looking titles on the horizon that I’d like to put on your radar (if they are not already). There is nothing that gets the adrenaline, nerves (and fingers) pumping quite like competition. 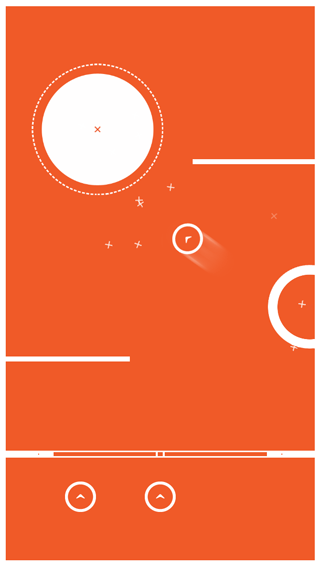 PUK is a fast-paced puck firing puzzle game in which players must ‘obliterate portals’ in 1000 unique, quick-fire levels in attempt to complete as many screens as they can in a single run, hopefully outscoring their Game Center friends. With a crisp interface and a nice shade of orange, this looks like a competition addiction waiting to happen. 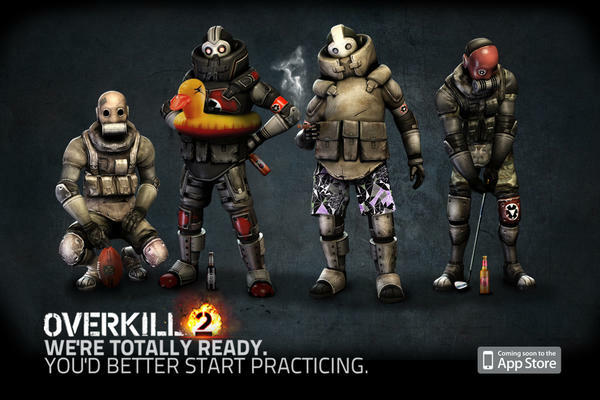 The folks at Craneballs will soon be launching Overkill 2, the sequel to their monster free to play hit shooter Overkill. If you visit the game’s website before launch, you can already sign up for a free in-game MP 40. 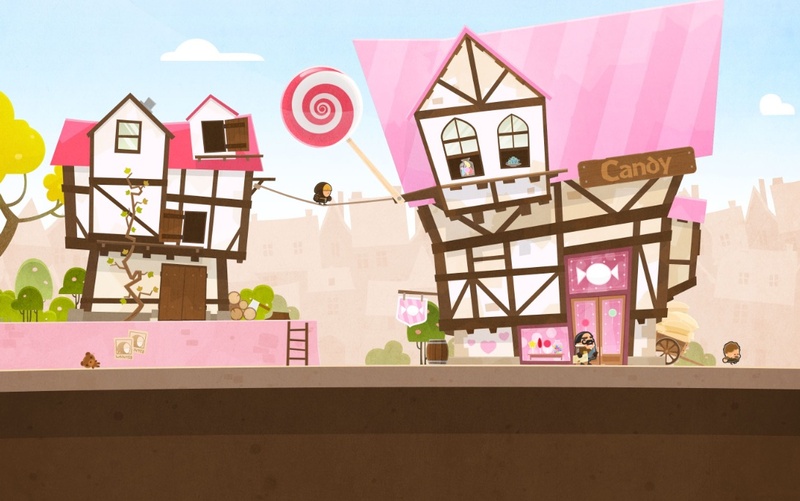 In my quest for good looking upcoming iOS games, I stumbled upon Tiny Thief and was immediately captivated by its stunning artwork. The goal of the game is to set up various distractions to allow the thief to accomplish his mission. It looks like a lot of fun and I cannot wait to try it for myself. According to a recent article on 148Apps Angry Birds creator Rovio has apparently picked up publishing duties on this one. Lets just hope they don’t try to change it to become Angry Birds Thieves. 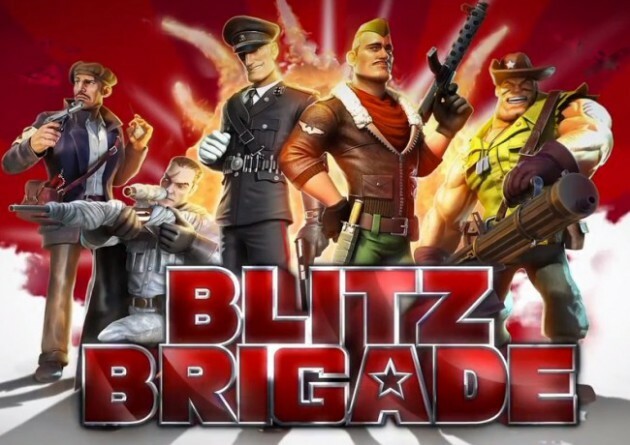 Watch even the first couple of seconds of this teaser trailer for Blitz Brigade and it is immediately obvious that Gameloft drew their inspiration from Team Fortress 2. Full details have yet to be revealed, but we have heard that the game will be free-to-play and have both single and multiplayer content. Having done an absolutely amazing job with their latest Modern Combat release, I fully expect this game to be polished with some exceptional multiplayer capabilities. Hopefully Gameloft will be including support for their Duo Gamer™ controller at launch.